I'm geeked!!! 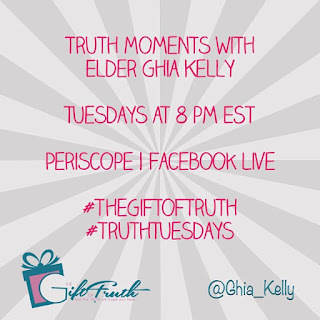 😊 🚨#TruthTuesdays with Ghia Kelly will start Tuesday, May 9th at 8 pm EST on Periscope & FB Live. Truthful, transparent, and transformational dialogue to help you be the best version of yourself spiritually, emotionally, and relationally. See the "Stay Connected" page on my website (click here) for ways to connect with me on social media! 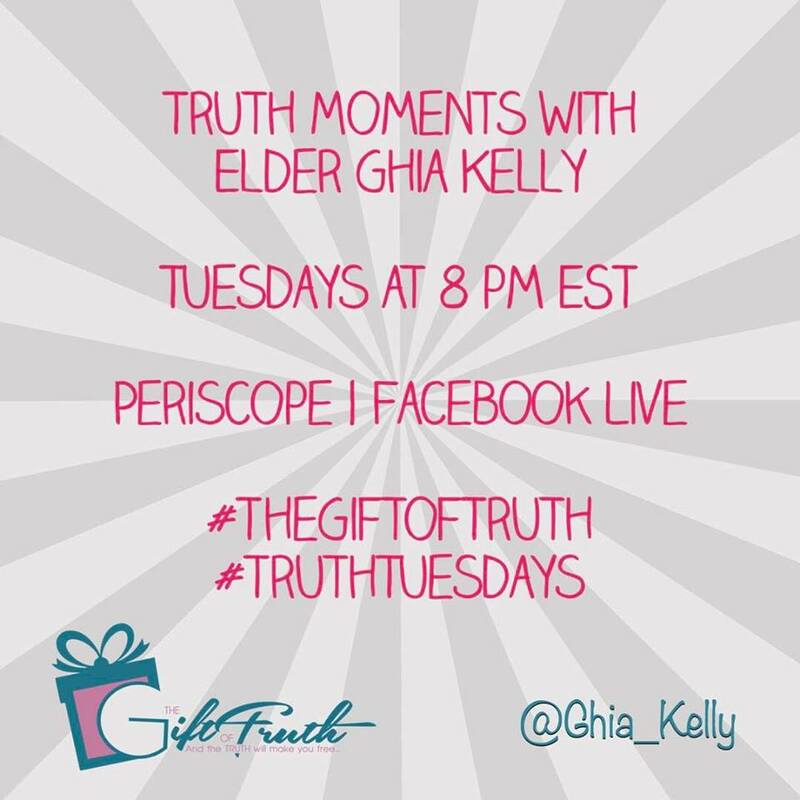 You can still email or inbox me your topics and questions!